Thanks for much for taking the time to speak with me and for sending over your work samples, we really appreciated it! I wanted to let you know that we have decided to move forward with an offer for a candidate who we have been in communication with for several weeks. At this time, we have filled the position. We wish you the absolute best of luck in your next step! After reviewing your work and experience, we’ve made the decision to not move forward at this time. I hope you don’t mind if we reach out to you in the future when a position opens up that may be a good fit. We have reviewed your background and experience and have decided to proceed with other candidates who meet our needs more closely at this time. Thank you again for your time and interest. We wish you all the best with your search. We’re looking for a bit of a different background for this role, so it’s not a fit at this time, but will keep your resume on file for the future in case something does make sense. Thanks for reaching out. Unfortunately your resume was not selected to interview. While impressive, we’ve found candidates whose skill set is some closely aligned to our needs now. Sorry for the disappointing news. While they all include a positive spin, these cookie cutter responses leave us with an overwhelming sense of rejection that’s difficult to shake off. Homework assignments – hours spent doing it only to receive a response that does not include an explanation of why you didn’t cut it. How can you know how far off or close you were to the correct answers? How can you do better? Psst, …sometimes we wonder if this is a strategy to get new ideas from potential candidates. Just saying. Black hole – oh the dread! Zero responses from LinkedIn Inmail from recruiters who post the job with a visible profile. For what you pay for the premium version, you would expect to get higher response rates. Rejection emails and LinkedIn Inmails with vague explanations. Even though it’s better than the black hole treatment above, it still feels horrible. Again, how can you improve if you have no clue why you were rejected? This situation is worse when you’ve had multiple interviews with the same company. It shouldn’t take 3 interviews to determine if you’re the wrong fit for the role. Feeling of loneliness – the emptiness you feel when everyone else around you has something meaningful to do other you can be unbearable. Whether they’re off to work, school or any other destination, your sense of worthiness is eroded just thinking that you have nowhere to go. Lose of your sense of purpose – this one is a biggie! You don’t realize how much your job gives you a sense of self-worth and purpose until it’s gone. Ghosting – recruiters who reach out to you with interest, ask for your credentials then go MIA on you without any explanation – rude! Feeling of shame – that cringing feeling you get when someone asks you about work or your job search, especially if you’ve been out of work for a while. Sounds depressing, doesn’t it? But not to worry because we have some valuable tips to get you through it! At the core of your survival is one overarching theme – maintaining your sense of purpose. Create a daily to-do list, complete with a lunch break just like you would if you were working. Also, don’t look for a job the whole day. Dedicate your morning to your job search and your afternoon to personal activities. For the latter, focus on those that are both necessary or joyful to you. For instance, read a book you’ve been wanting to read but had no time. Complete a household chore that you’ve been putting off like cleaning out your closet. Work on a personal project that you have been putting off – start a blog, write a book, take a class, master a new skill – play an instrument, learn how to knit, code, etc. The idea is not to waste your time doing meaningless things like watching tv, being on social media, or playing video games all day. It’s okay to indulge in these activities for a set amount of time. We recommend 30 minutes to no more than 1 hour during the day. After all, you wouldn’t have time to do any of these things if you’re working so resist the temptation. What gets your endorphins going? Only you know what makes you feel vibrant and alive. Identify those things and participate in them. One sure way to feel better about yourself is to exercise. Take a walk, run, dance, do yoga, or play a sport. Most of all, eat right. The right diet can leave you feeling energized and ready to take on the world. Update your skills. You can attend free webinars, workshops, meetups, conferences, and network events related to your profession or your interests. Keep up with the latest news and trends in your industry through books, articles, blogs, podcasts, Ted talks, etc. Volunteer to offer your skills to causes that are near and dear to you. There’s an element of embarrassment that comes with not having a job. Resist the urge to isolate yourself. Remind yourself that most of us have been in a similar situation at some point in our professional lives. Go ahead, grab lunch, coffee, happy hour. Reach out for a quick hello via phone or text. Staying connected keeps you feeling wanted and closer to those around you. We do it for a day then pick ourselves up, dust off and move on. Rejection does not define who you are. It could be that you’re simply not the right fit, someone else may have done better than you, the situation at the company may have changed, wrong timing, or a host of other things. As long as you did your best, let it go. 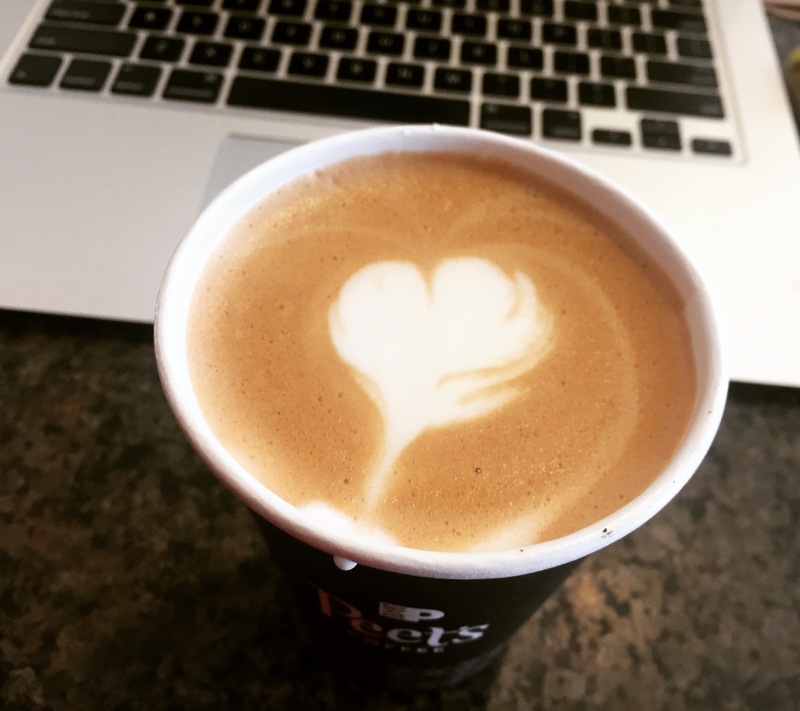 Grab your laptop and head out to your favorite cafe. Being surrounded by other adults (some of them with laptops as well) gives you that work feeling and is good for your psyche. Think of all the important things going on in your life – your kids, spouse, family, friends, health, even simple things like been able to wake up, to breathe, to help someone else. It could always be worse. And remember that your job search is only a temporary situation even if it takes longer than you anticipate. Crazy notion, perhaps, because it’s not the most optimistic or happy time for you. If any, you might feel like you need help and support more than the next person. But it might surprise you to learn how satisfying it is to help someone else when you’re going through adversity. When we feel hopeless, we lose the capacity to seek and go for opportunities to better our situation. You can put a positive spin on anything as long as you have hope. Resist the temptation to think negatively about yourself. Forgive yourself for your mistakes. Affirm yourself by taking note and pride of your accomplishments (both professional and personal) up to this point. Believe us, you have many. This is arguably the most important element of surviving and thriving during your job search. It alleviates some of your financial anxiety and allows you to find the job that best fits your needs. After all, who can focus or have a positive attitude when you’re struggling to put food on the table or pay bills. Yes, I said it. Despite the low response rate from recruiters, the law of numbers is on your side; the more you keep reaching out, the higher the likelihood that someone will bite. Update your profile. Don’t just rehash what’s on your resume, tell your story. Remember, everyone has a unique story to tell. Yours is compelling too. Believe it and others will too. Post content relevant to your industry and skills. Stay connected to your network. Remember the rules Of reciprocity. Stick to what you’re interested in pursuing in terms of industry, location, skills set, company size, compensation, and culture. You’re more likely to tell a more compelling story, interview better and showcase your talents and capabilities. It’s much easier to display your passion, exude confidence and land the job if you like what you do and are comfortable talking about it. You know what you’re looking for so go get it! But if you do decide to change careers and go for something where you lack experience, do your homework! Showcase why you should be hired by sharing something that would add value to the company. It must be related to the role that you’re pursuing. Be resilient! Don’t focus on rejection, the ghosting or why your project did not cut it. You’ll be fighting a losing battle because you cannot control what the recruiter does or the hiring manager’s decision. Pay attention to what you need to do to land the job that you deserve. Allow yourself a pity party for just a day. After all, you’re human and you need to process and work through the bad feelings. Maintain your confidence, fight self-doubt and always remember, you know your stuff so go out and SHINE! The best attitude you can have is to tell yourself that they (the employers) are lucky to have you. It’s the best confidence booster you could have! Good luck! We’re rooting for you! Your turn gapmusers, what do you do to survive and thrive in your job search? Share with us and our readers so we too can be inspired.